Sometimes for me the hardest part of planning a meal is deciding on a side dish. 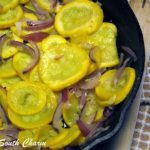 This Skillet Squash is one I’ve come back to again and again. It’s made with Yellow Squash which is available in abundance at the produce stand just up the road from our house from around Memorial Day until the beginning of fall. Another thing I love about side dish is that it’s prepared in a cast iron skillet. I think everything tastes better when it’s cooked in cast iron. Maybe it’s because I was raised in the South or just my imagination. If you don’t have a cast iron skillet don’t worry you can use whatever you have. Just make sure it’s heated evenly before you put in the squash and onions. That’s all there is to it. Easy-peasy fast and easy. My mom use to make this when I was little. It was one of my favorites. I forgot about it until I read this post. Thanks for the memory! I will definitely make this this weekend. I’m glad your going to make it. It’s so good and easy that I make it pretty often. I hope your family loves it! It is sooo good. It’s also really simple to make. I hope you give it a try! 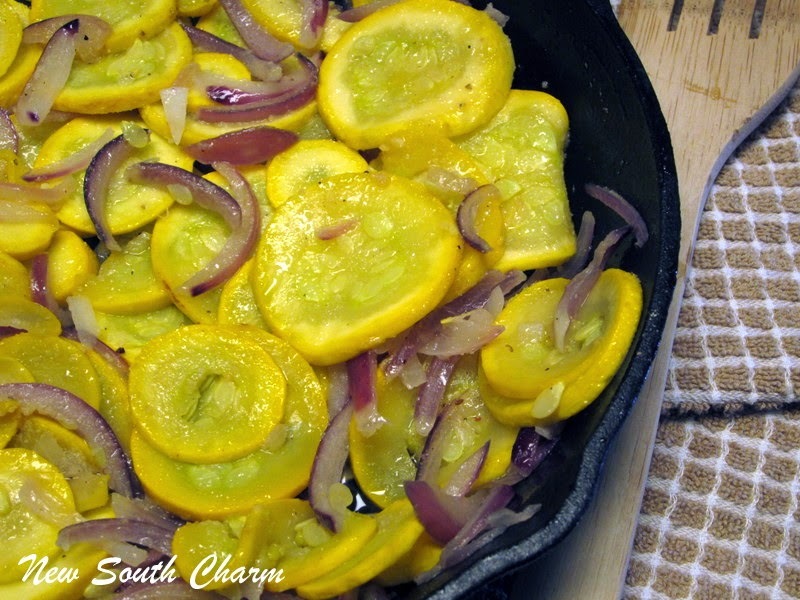 I love the taste, but lightness of yellow squash. It is absolutely delicious! This sounds like a wonderful side dish. I always struggle to find something different to make. I love zucchini and yellow squash. They are two of my favorite vegetables and I fix mine in a skillet like you do. 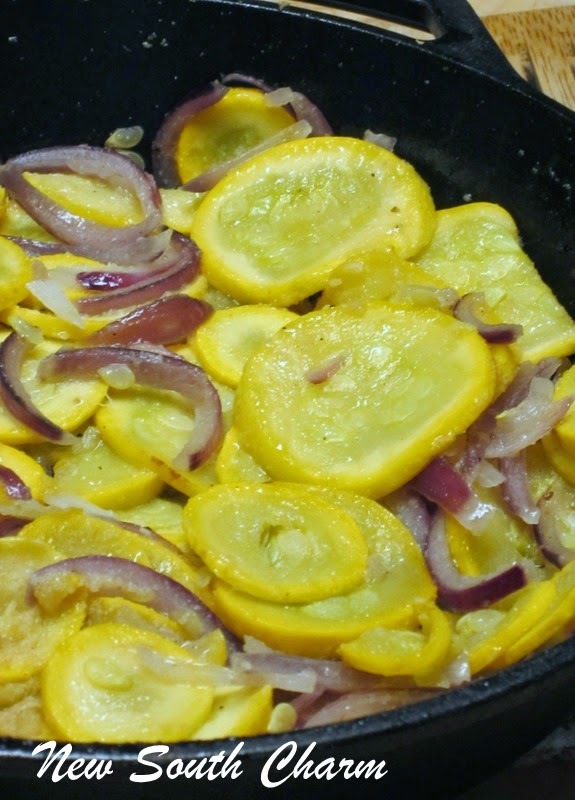 I just combine slices of zucchini and yellow squash and a whole medium sized sliced onion. I can eat this for breakfast, lunch, and dinner. By the way, if you want another tasty skillet dish, saute some fresh potato cubes until tender and then add a small zucchini, chunked, along with a medium onion. Saute until tender or to your taste. Add salt and pepper. I used olive oil or margarine to flavor them when frying.